If you don’t have your CD and need to install your printer, you can follow these directions. These directions should help most of the printer setups. If this does not work, please make certain that your printer is compatible with Windows 10. Does your printer show up? 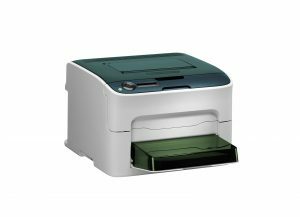 Does your printer show up in this list? You will need to choose the correct drivers, from the list on the left choose the manufacturer of the printer. Is your model printer in the list on the right? If yes, select it. If not there, click “Windows Update” (this might take some time to finish and might not look like it is doing anything…but give it time – maybe as long as an hour or so). Once it is done, is your printer now in the list? If yes, cselect it. If you want to give your printer a name, type it in the box or leave it as is. Do you want to share your printer? If it is connected via USB cable, and you want to print from other computers, then go ahead and choose “Share this printer so that others on your network can find and use it”. Diagnosing laptop screen problems on laptops can sometimes be a bit tricky. Well, this screen we have in our office is one of those screens that are a little more interesting in diagnosing. This screen works just fine sometimes, but then it will start fading out to look like a bad screen. We have narrowed the issue down to what we believe will be 1 of 2 of these. Once we get the first part, we will test that and if it does not fix, we know it is the second one. Sometimes, it just comes down to trial and error on figuring out the exact problem. In our external screen test, the screen works just fine, letting us know that we believe the motherboard is not likely to be the culprit. 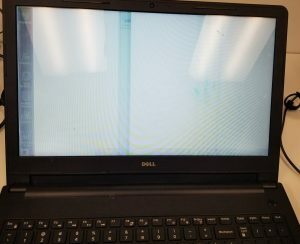 When we move this computer, the screen appears perfectly fine again. Because of this, we believe that either the screen or the cable the screen are failing. Once the parts come in and are tested, we will know our answer. The Mesabi East Elementary Archery team qualified for Nationals this year. We helped the Mesabi East Archery Team by creating this website for them where they can keep all of their schedules and updates on what is happening. This site will also allow visitors to the website to donate to the Mesabi East Archery Booster Club to help pay for its trip. The archers & 3 coaches will be leaving the night of Wednesday May 9, 2018 and will return on May 13, 2018. We would like to wish the Elementary Archery team good luck at Nationals along with the 3 individuals who qualified individually for nationals.